Industrial Internet of Things Sensor-monitoring Solution Opens New Vistas in Pollution and Environmental Applications, other Remote-sensing Sectors. 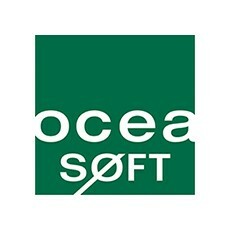 OCEASOFT, a global provider of sensor-based solutions for monitoring environmental parameters in the health, medical, life science and cold-chain/transport sectors, today announced a partnership with Internet of Things networking pioneer SIGFOX, along with a new line of Cobalt sensors that can transmit data directly to cloud storage without the need for traditional cellular or Wi-Fi service. The new Cobalt S3 line of smart wireless sensors is designed to take advantage of SIGFOX’s global network that is dedicated to the Internet of Things (IoT). It is designed exclusively for two-way, small-message device communication. This eliminates the cost and energy-use barriers to wide adoption of the IoT and greatly extends the battery and service life of connected devices. Cobalt S3, slated to ship in January 2015, will offer all the proven monitoring capabilities of OCEASOFT’s existing Cobalt sensors, including temperature, humidity, ambient light and voltage, while providing always-on cloud connectivity via SIGFOX’s IoT network. This approach greatly simplifies sensor installation and startup, extends battery life, and allows the sensors to maintain connectivity in isolated locations without local network or traditional cellular infrastructure. 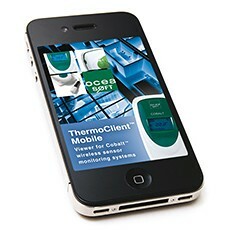 Local users can also access Cobalt S3 readings from smartphones and tablets using Bluetooth Smart. “Working with SIGFOX to offer this new functionality to our customers is a big step forward for OCEASOFT and our commitment to provide unparalleled cloud-based access to mission-critical sensor data,” said OCEASOFT CEO Laurent Rousseau. OCEASOFT, which serves hundreds of clients worldwide, will initially offer Cobalt S3 in areas where SIGFOX has rolled out its network: France, Holland, the UK, and Spain, as well as several major European cities. Additional expansion is planned in Europe and the US, and plans call for extending coverage to ocean regions, which will enable new shipping and transport applications for the Cobalt S3 sensors. Data generated by all Cobalt sensors is held securely in the OCEACloud data service, and can be instantly monitored and viewed via computer, or OCEASOFT’s ThermoClient Mobile app, which runs on iOS and Android phones and tablets. Its wireless Cobalt sensor modules can be equipped with a wide range of internal and external sensor options, including temperature, humidity, CO2, differential pressure, ambient light and voltage. All provide continuously updated reporting, and meet demanding requirements for manufacturing, laboratory work, life sciences, cold chain/transport and other advanced industry sectors. More information about SIGFOX is available at www.sigfox.com.